Review Summary: Manoj Bajpai impresses in this masala re-boot. Tevar shines in parts! The movie is like a filmy bhaagam bhaag, where a small kid too knows that everything will happen only in the end of the film and the rest is mostly a waste of time. 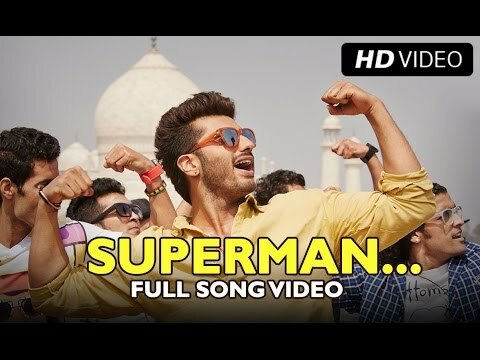 Superman Arjun Kapoor, baahubali Manoj Bajpayee swing your mind! Had director Sharma tweeked the storyline and injected charm and passion into it, it might’ve turned things around. It’s unfortunate, he didn’t. Although, the movie is a remake and is seen by many in both Telugu and Tamil, Tevar is just Tevariffic and you will ENJOY it!! A total 'paisa vasool' film! The first release of the year has more often than not suffered from ill-fate in Bollywood. Overall, this is a film which has been packaged with the right kind of commercial masala that would appease the audience so success at the box office looks imminent. The charm of the original flick seems to have been lost in translation and ‘Tevar’ arrives more than 11 years too late. ‘Tevar’ has absolutely nothing new to offer. Old plot, new package. Arjun's performance reminds of his first film Ishqzaade. On the whole, TEVAR is a stylised masala entertainer that'll give you enough reasons to have a good time in the cinema hall. Tevar is worth your time. Go for it! 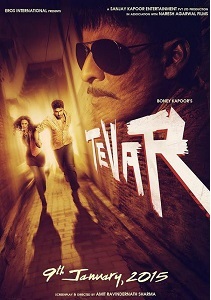 In nutshell, Tevar can be called a big release of 2015. The glut in between forms a crevice deeper than the Grand Canyon; a perfect fit for Tevar's inexplicable lack of attitude. Bollywood 2015 is greeted by ‘Tevar’ (attitude) that sticks to worship the tried tested and trusted massy affair. Anyways the remake of the 2003 ‘Okkadu’ starring Mahesh Babu does keep the masala loving regulars involved with its persistent dose of raw action and winning performance from Arjun, Sonakshi and Bajpayee that help in distracting its target audience from its over the top, too convenient and easy plot. However the length and the baffling climax reduces the impact hinting a hitch in its expected box office pinch. Watch this film for Arjun Kapoor’s action avatar! Sadly the year starts with a disappointing film. The good thing however is that the quality of films can only go up from here.